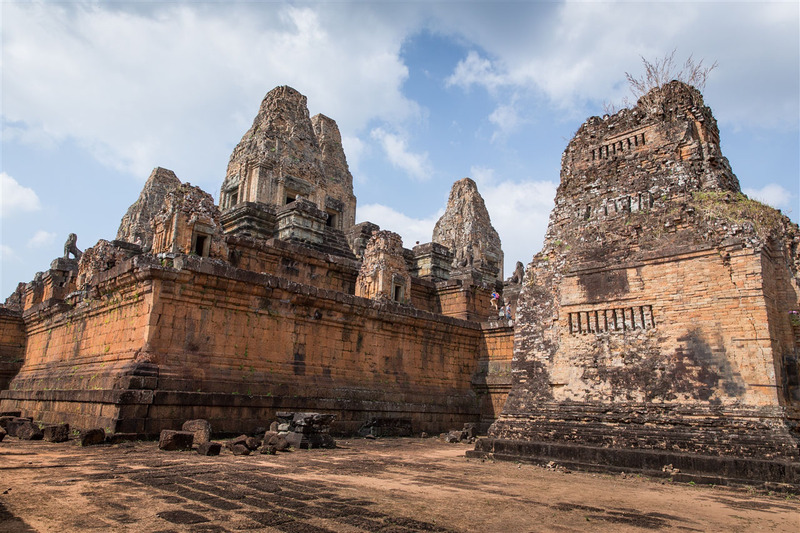 Consecrated to Shiva in around 962 A.D, Pre Rup is a state temple of Rajendravarman, the son of Jayavarman IV. The name of the temple literally means “turning the body”, a reference to a cremation ritual. Pre-Rup is a typical “temple mountain”, but on a slightly larger scale to some other examples at Angkor. The central pyramid is surrounded by mostly ruined halls, with large brick towers set in to the second enclosure wall. From the summit of the pyramid there are fine views across the jungle canopy to the towers of Angkor Wat on the western horizon. The only record of Jayavarman IV being at Angkor is an inscription on the southern side of the southwest tower. 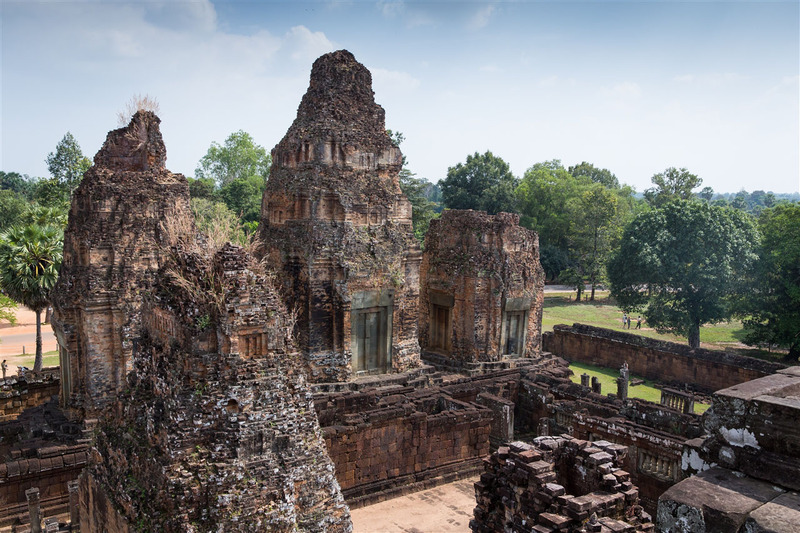 If by now you have visited a few of the Angkor temples, Pre Rup is not going to offer anything new. 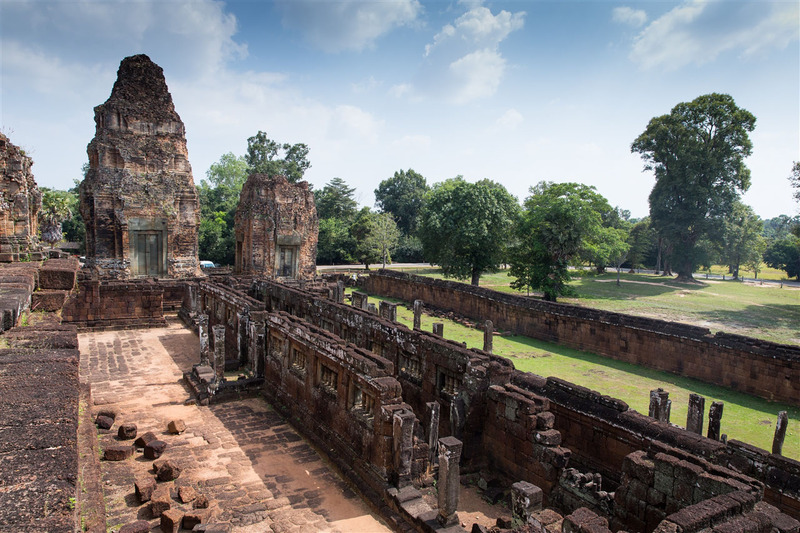 It is however easily visited either to or from Banteay Srei, and worth stopping off at for 30 minutes to explore.